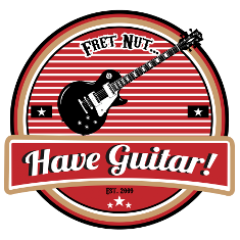 Rig Exchange Recommendations Archives - Fret nut... Have Guitar! Have Guitar! is happy to present a new feature on the channel: The Rig Exchange Recommendations! In this first REXR we have a very nice Marshall JTM50 Black Flag from Joptunes. I’ve been looking awhile for commercial profiles pack of the Marshall JTM50 but have only found the Marshall JTM45… the difference might not be that big but when you know what you want… anyways, so I found this on the official Kemper forums and well, then the idea of this feature was born. In this video Have Guitar will demo the Marshall JTM50 Black Flag with both lined and live in the room examples. Guitars used: Gibson SG Standard High Performance, Harley Benton Black Paisley (Fender Texas Specials) and a Fender American Standard Stratocaster (Shawbucker). Many thanks to Joptunes for sharing these excellent profiles for free on the Kemper Rig Exchange – thank you, sir! I hope you like the video… and if you do, please subscribe to the channel to support it! Thanks to all of you who allready subscribed! !